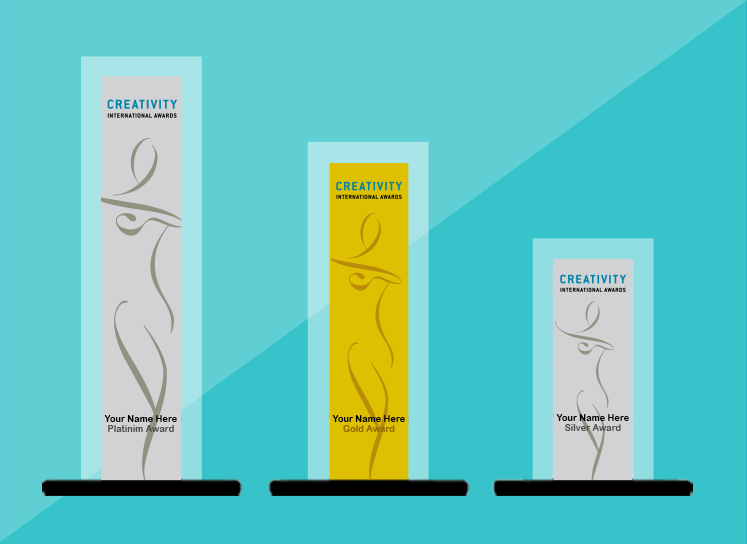 Creativity International Awards welcomes you to our Competitions. Here is a helpful guide to navigating your way through our submission/entry website. Any questions should be answered here. If not, please contact us. Make sure you are entering the correct competition – Professional or Student. If you have participated in any of our previous awards you already have an account. Login using your email address and password. If you have forgotten your password, please request a reminder and we will send an email to the address we have on record. You only have to set up an account once – you can use that same account to enter every competition. If the main awards contact has changed, please ensure the company profile has updated contact information by using the “My Profile” link in the entry system. All necessary fields are marked with an asterisk. Also verify all contact information if you are a returning entrant as that makes communication much easier! Complete all relevant data including category, entry title, client name and credit information. Please remember all credit information will be reproduced as entered – due to the amount of entries received we cannot verify information before publicizing the winners. Files are uploaded within your entrant account. Please make sure the upload worked and the file is not corrupted. There are no longer size restrictions on any files. Any problems you experience should be directed to Creativity Awards immediately. If you choose to mail one or all of your entries – print the entry labels for each entry being mailed. Click the “Print” link on the main page of your entrant account. We ask that for mailed entries you still upload a file that can be used in the Creativity Awards iPad App, website and traveling exhibit should the entry win. You may also provide a CD/DVD with your mailed entry with the digital images on it. Affix the labels to the back or outside of the entries. Include a copy of your entry information and invoice with the package. You will receive confirmation via email that we have received your package. After completing each entry, you must “Add to Cart” before you can pay your invoice. Select “Checkout” on the Main Menu. Examine your invoice and verify it is correct. Please contact Creativity Awards immediately if you see a problem. You may choose to pay securely online, via PayPal, send a check or wire transfer – all payment information is found on the check out page. You will receive confirmation and a paid invoice via email that we have received your payment. You can also access printable invoices at any time through the main page of your account. All entries must be accepted to judging by the admin. This indicates that you have completed all steps and we have received all parts of your entry. You will have access to your entries until your entry/entries have been accepted. Once all parts of an entry and/or payments are received, entries will be accepted into judging. If “Mail Entry” submission method was selected, entry will remain “pending” until the physical entry has been received. Creativity International will accept the entry to judging at that time. Please contact us if you need changes made to your entry or credits after acceptance. We will notify you within 30 days of judging of the status of your entries – winner or non-winner. All winners receive 2 complimentary certificates with entry title, category and creative firm printed on them in addition to a decal indicating the level of win. All winning entries require a small web publication fee of $25 to feature the entry with images, credits and links back to company website on the Creativity website and iPad app. Best in Show – Professional & Student for both Media & Print will receive 1 complimentary trophy. Winners will be featured in our app, online and in our traveling winner exhibit. Platinum Winner – Winners will be featured in our app, online and in our traveling winner exhibit. Gold Winner – Winners will be featured online, in our app and in our traveling winner exhibit. Silver Winner – Winners will be featured online and in our app. Bronze Winner – Winners will be featured online and in our app. All ordered certificates and trophies are fully customizable and can be shipped to anywhere you want. If you have trouble with the order process please contact us.